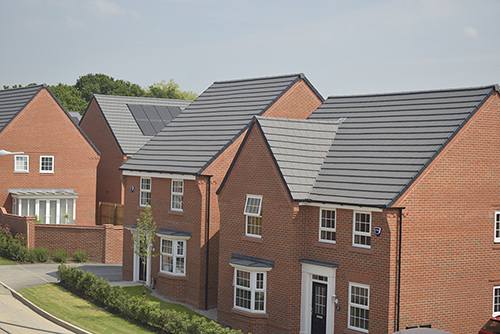 The Government is pushing to increase the number of new build homes to 300,000 a year by the mid-2020s. 2017 saw 217,000 homes built, the largest increase in homes for almost a decade. To support this growth, Housing Secretary James Brokenshire last month announced a partnership with Barclays Bank to provide £1 billion of loan finance to support small and medium sized developers. You might wonder why we’re talking new build in an article on heritage windows, but when I talk to customers, it’s one of the biggest trends. There simply aren’t enough older properties. People choosing to buy new homes still want the classic styling. The Georgians really knew how to design buildings. The stunning symmetry, straight lines and top-class workmanship, for many it is the golden age in architecture which is why so many new build properties include Georgian architectural cues. Of course, they get the best of both worlds. Alongside the classic styling they get the extra energy efficiency and added security you expect from modern windows. Some housebuilders choose to differentiate themselves through the windows. One of our customers Nationwide Frame Services specialises in supply and fit for new build developers. They tell us that between 40 and 50 percent of all windows they install on new estates include our astragal bars, and there are some housebuilders who use Georgian styling on all their properties to attract buyers. One of Nationwide’s customers Morris Homes even has signature feature bar designs they use throughout their developments. The Victorians were pretty good builders too. Sliding sash windows reigned supreme in the property explosion that saw the first tranche of mass urbanisation. Roseview Windows, a customer specialising in PVC-U sliding sash windows, supplies into the retrofit and a significant proportion of its windows are fitted into new builds. Adding top-performing, high security, energy-efficient sliding sash windows offers the wow appeal for new homes. Georgian Bar Company astragal bars are a significant part of the design, with more than 70 percent of windows from Roseview including them. As well as the standard Georgian square design, Roseview offers some interesting designs to add a modern twist. One style creates borders from the astragal bars forming a square in each corner. It looks stunning. Thinking differently with the design, uplifts replacement heritage windows into something that’s highly desirable for modern properties. We’ve been working with Kömmerling’s on its latest development System 76, a new window to bring the very best in aesthetics. There’s a flush casement and casement window for both traditional and modern properties, and the Georgian Bar is a stand out feature that complements the new window. From the launch at FIT Show 19, it will come in a range of stock colours including contemporary greys. We predict it will go down well at the show. Along with our manufacturing partners, we offer more than 600 products with over half available next day. For the rest, intelligent planning for non-stock colours means orders programmed in to give customers a fast turnaround. More than a third of our astragal bars go into new build, so it’s an important and growing part of the business. With the number of new build properties increasing there’s likely to be more emphasis on design. We know the Brits love traditional styling, and one of the easiest ways for developers and architects to add interest is through the window design. We will continue to work with customers to innovate and bring the very best in design to heritage properties and new build.